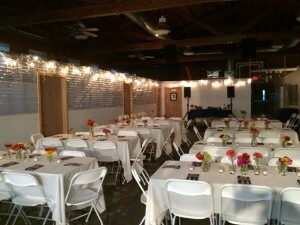 Are you seeking a place that is different than the usual banquet hall? We’ve got just what you’re looking for! Located at 11 W. Mt. Airy Avenue in the heart of the Mt. Airy business corridor, the Mt. Airy Art Garage (MAAG) offers a unique, creative venue with its open concrete floor plan, brick walls, massive glass block windows, a high ceiling of exposed wood beams, ductwork and industrial lighting. MAAG is also handicapped accessible. 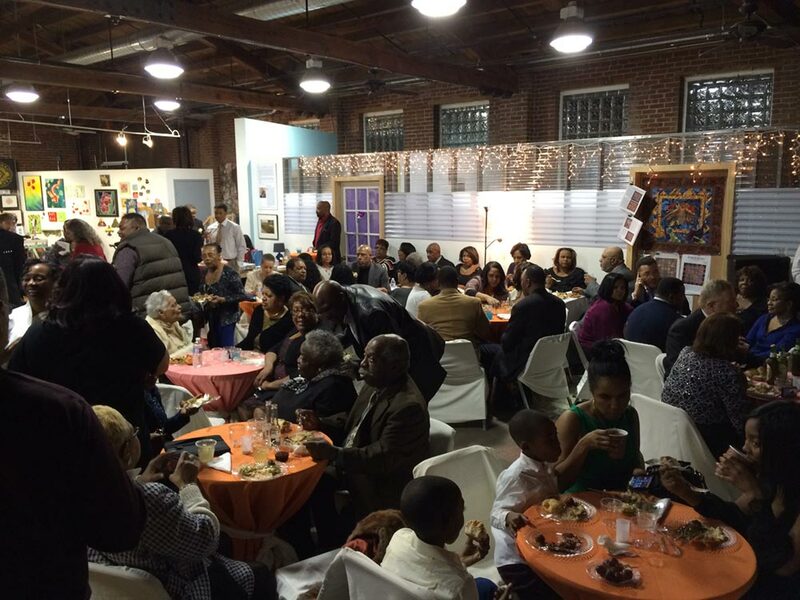 We offer an art environment to inspire your event or gathering. 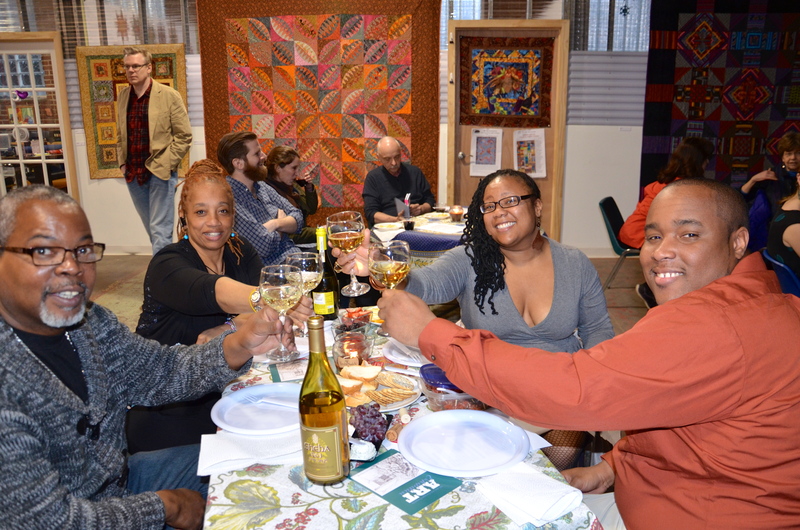 People who attend also have access to the Solomon Levy Gallery, the Handcraft Gift Shop, artist studios, and exposure to handcrafted items and artwork by Philadelphia’s Northwest neighborhood artists. The Event Area — approx. 1,222 sq. ft. with a maximum occupancy of 100— offers lots of space for lectures, staff retreats, events, receptions, baby or wedding showers, workshops/ classes/ concerts/ recitals/ performances, etc. Rental is $125/hour. There are additional hourly charges for setup and take-down. 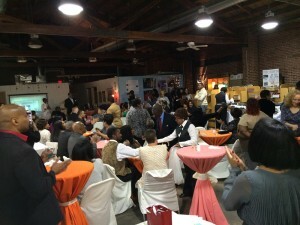 The Event Area Plus includes the Event Area and the Solomon Levy Gallery — approx. 2,172 sq. 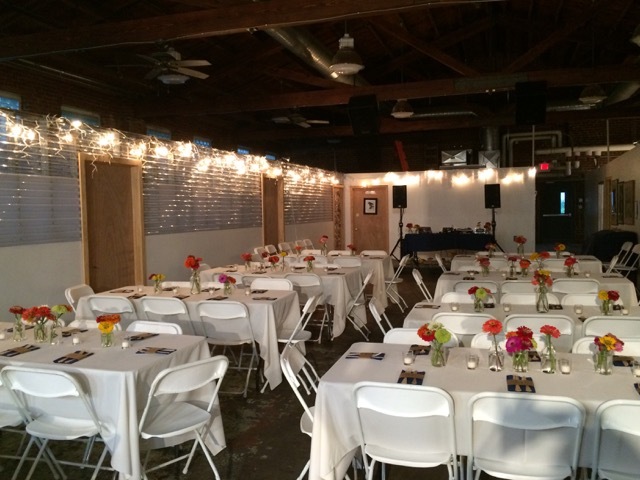 ft. We offer a large and diverse space for your big event with a maximum occupancy of 175. Rental is $225/hour. There are additional hourly charges for setup and take-down. Included in the rental fee is a MAAG Membership. A $500 security deposit + 50% down payment is required upon signing the rental contract to hold the date. You are permitted to use your own caterers. Payment may be made by check, credit card, or cash according to the terms of the rental contract. The Mt. Airy Art Garage is open Wednesday and Friday from noon to 7 p.m., Thursday and Saturday from noon to 6 p.m. and Sunday from noon to 5 p.m.; however, events held after hours are possible. You may provide your own food and beverages plus make use of the kitchenette. The large front entry provides a wide opening for large items. Our facility is also handicapped accessible. A small stage, sound system, or piano may be available for additional charges. Please contact us to discuss this option. An eclectic limited amount of tables and chairs are available; however, you are welcome to provide or rent your own. Our kitchenette with a microwave is also available with the Event Area rental. The building features natural and overhead light, central heat/air, and handicapped accessible bathrooms. We are located within easy access to public transportation and street parking (see Directions). Mt. 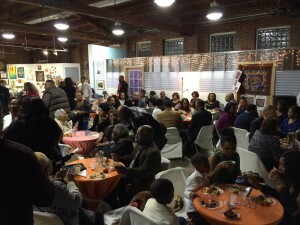 Airy Art Garage is a nonprofit Arts Hub founded and driven by a dynamic group of professional artists. An incubator for both professional and emerging artists in Germantown, Mt. 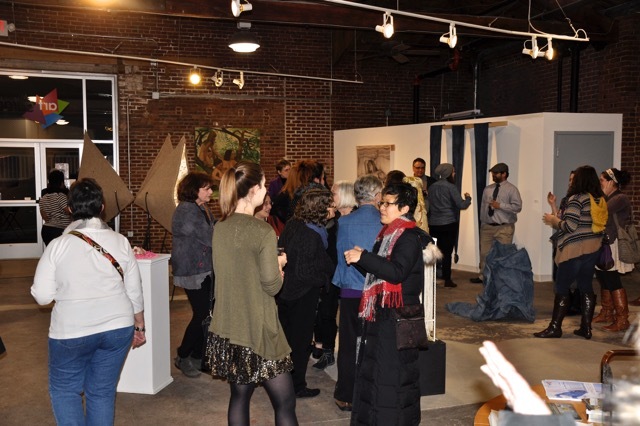 Airy, and Chestnut Hill, we function as a resource center of creativity for artists, art lovers, and all those who seek to bring an eco-friendly and artistic sensibility to their lives. To discuss your next event, e-mail: info@mtairyartgarage.org or call 215-242-5074.